Tax Justice Network: A Swiss-US secrecy deal: justice for sale? A Swiss-US secrecy deal: justice for sale? 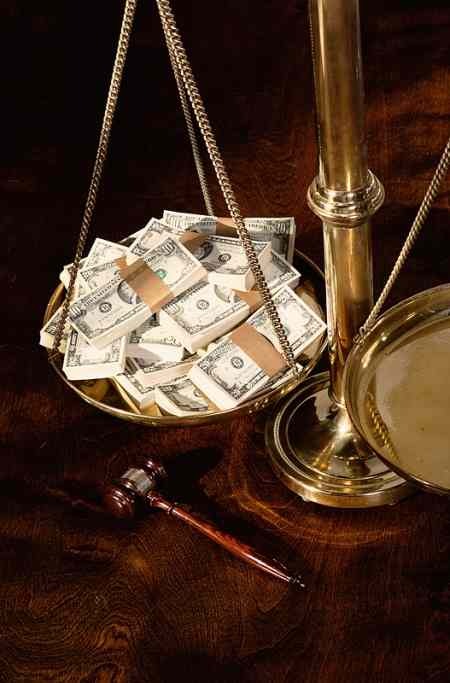 "All this prosecutorial zeal is a marked contrast to the failure to convict or criminally prosecute even a single senior banker for helping to produce and direct the post-2007 global financial crisis. But now, according to several credible reports, Eric Holder, the Attorney General, and Jacob Lew, the ex-Citi banker who now heads the US Treasury, may be on the brink of surpassing even this dubious track record. If these reports are to be believed, they may be on the brink of signing a “sweetheart” deal with Switzerland and its pirate bankers—with the indulgence of the White House and the enthusiastic support of some of Obama’s biggest guns on Wall Street." "The world really is at an historic crossroads with respect to putting secrecy jurisdictions like Switzerland out of business once and for all." "A DOJ-Swiss global truce would be of great benefit to the Swiss, but a huge mistake for the US and the EU—especially now. This is true for several reasons. It would fly in the face of the dramatic progress that the world is finally making right now toward cracking down on secrecy havens in general and the "leader of the band" in particular. It would also risk dividing the US from the EU and the rest of the OECD, taking the pressure off Switzerland to reform. It overlooks the numerous loopholes that still exist even in FATCA, let alone global AIE, especially for secrecy jurisdictions like Switzerland with a long history of untrustworthy behavior. Even a $10 billion fine is a tiny fraction of Switzerland’s earnings from doing “pirate banking” for the world’s elite, even from US citizens. And a global settlement would remove the one penalty that Swiss banks fear most—jail time. Any settlement still requires Swiss parliamentary approval, which could take years—even while it has already serves as a useful "whitewash" device. Most important—the impending DOJ - Swiss settlement, when looked at closely, has a strong odor of justice for sale. This is a clear case where powerful financial institutions, whose principle business is enabling tax dodging, kleptocracy, and money laundering for the world’s elite, would be permitted to commit these crimes over and over again for decades, and then walk away simply by paying fines, with the help of influential friends in high office on both sides of the Atlantic. This is just a taster: the long article is well worth reading. Whatever happens, the battle to get Switzerland to open up will be a long, hard slog, not least because opening up Switzerland's banking secrecy will almost certainly require approval by referendum, and the population of Switzerland currently supports banking secrecy and the facilitation of global crime very strongly. Bit by bit, though, we will get there. Now is absolutely not the time to ease up the pressure. If you're in Amsterdam over the summer . . .